Cancer is a lethal and often non-discriminatory illness, which can affect almost anyone at any stage of life. Although great strides in terms of detection and treatment have been made, and the chances of surviving cancer are higher than they have ever been, our likelihood of developing cancer is also at an all-time high, due largely to modern lifestyles and choices. Currently, 8.2 million people die from cancer worldwide every year, out of which 4 million people die prematurely (aged 30 to 69 years). 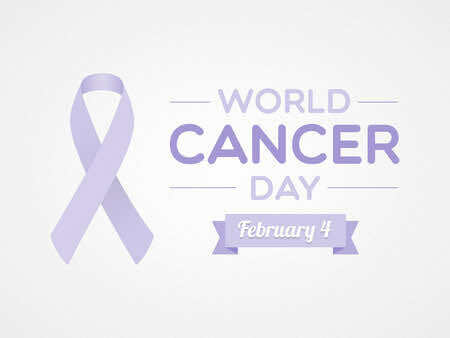 World Cancer Day is taking place today! Using the slogan, “We can. I can”, World Cancer Day intends to illustrate how each of us, no matter our age, gender, background, or experience, can do our bit to reduce the worldwide burden of this terrible, but all too common, disease – and we at London Doctors Clinic are doing our bit to help with this! It’s time to get excited about taking back our power, either as individuals or collectively, to tackle the impact that cancer has on individuals, families and communities around the world! Cancer affects communities around the world indiscriminately; that’s why we all need to come together to tackle it! What Does World Cancer Day Aim To Achieve? This international day brings us together as one army united in the global fight against cancer, and gives us an opportunity to raise awareness of cancer, to educate ourselves, and to encourage the recognition, detection, treatment, and prevention of cancer. It was founded by the Union for International Cancer Control (UICC), and its primary goal is to reduce suffering and death due to cancer by the year 2020. How Does World Cancer Day Aim To Achieve Its Goals? How Can I Get Involved In World Cancer Day? Well, it’s probably easier than you might think to show solidarity with cancer sufferers and help to make a lasting difference on this special day. Whether you organise your very own World Cancer Day campaign or event, or just help to raise awareness of this fantastic day on social media, there is always something you can get involved in, and every little helps! Join the WCD Thunderclap campaign – this is a tool that allows for the mass dissemination of messages via popular social media platforms. It gives the campaign visibility far and wide, and increases the chance of “trending” on social media! Donate whatever you can via the official WCD website, or plan an activity or event to raise money for this really worthwhile cause! Use your language skills to help make WCD resources available to the masses (materials are currently only available in certain languages), but we want to change that! If you want to get involved in making a change on World Cancer Day 2017, the best place to begin is to visit the official WCD website, where you can read more about this great day, and get involved in spreading awareness through using some of the online interactive tools available to you.